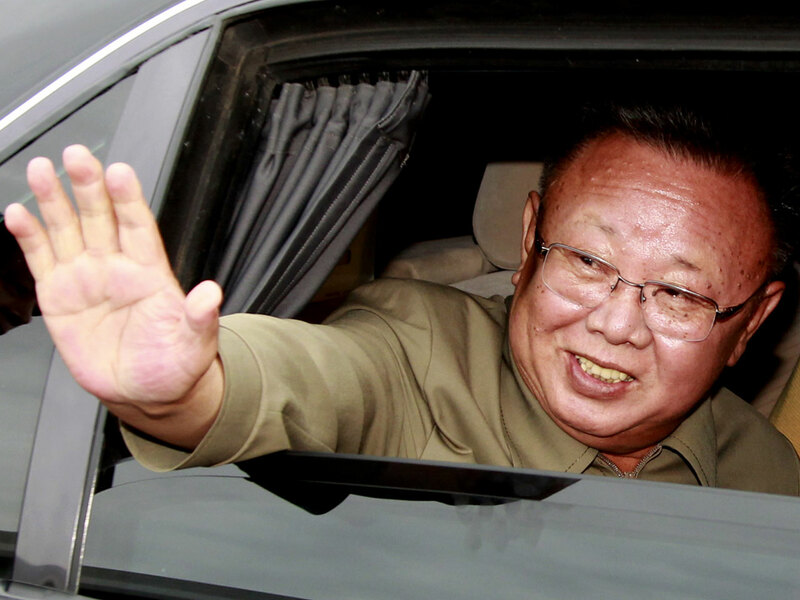 LOS ANGELES - News of the death North Korea's leader, Kim Jong Il, played on almost every television in bars and cafes Sunday night in Los Angeles's Koreatown, the center of the largest Korean enclave in the United States. But the mood was quiet in the densely packed neighborhood west of downtown Los Angeles. Few people looked up from their food and drinks at the news reports. Outside, Brian Shin expressed surprise as he smoked a cigarette on the sidewalk in front of his apartment. "Kim Jong Il died? You're sure about that? No way! I thought he was going to live forever!" the 30-year-old native South Korean said. "He acted like it. He always wanted to live forever." As he spoke, his wife ran downstairs to share the news, She didn't think that tensions between South Korea and North Korea would change much because of Kim's passing. "Even though he died, I don't think it's a better situation or a better world," she said. About 200,000 Koreans live in Los Angeles County. Many live, work and shop in the normally bustling Koreatown, which is filled with upscale malls, Korean barbecue restaurants and banks as well as older shops in strip malls where signs read only in Korean. Some Koreans migrated to the United States after the Korean War in 1953, and many more came from the South to work and study after the U.S. eased its immigration rules in 1965. Karen Fischer of Tempe, Arizona, who was born in South Korea and has lived in the U.S. for 33 years, said she was concerned Kim's death would have a destabilizing effect on the region. She planned to call her relatives in South Korea to gauge their reaction. "I have family there  my sisters, brother, nieces and nephews," she said. "It worries me who's going to substitute him." N. Korea threatens South with "sea of fire"
Panetta: North Korea "remains a serious threat"
Daniel Kim, a 20-year old who was playing four-ball billiards at a Koreatown pool hall, said the news was unexpected and somewhat scary. "The leaders will be changed, but we have no idea how the new one will be," he said. One of his opponents, 19-year-old Ian Lim, agreed. "I have to serve military service in Korea so that's kind of my worry," Lim said. "North Korea is kind of insecure now, and they'll have to make some incident to show their people they're on the right track." Kim's death is a symbolic moment for Korean Americans, said Grace Yoo, executive director of the Los Angeles chapter of the Korean American Coalition. Many of her friends were welcoming the news on Facebook, she said. Hopefully, the new leader will be "someone who cares about their citizens and sees everyone deserving of life," Yoo said. Overall, Kim's death is good news, and eventually the North Korean government will also fall, said Kee Whan Ha, a South Korea native who serves as president of the Wilshire Center Koreatown Neighborhood Council in Los Angeles. "I'm sure there's a lot of Korean Americans with family living in North Korea. I'm sure they hope to see their families," he said.